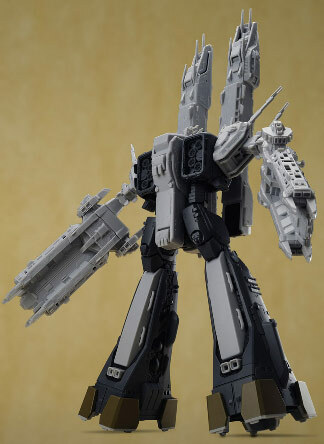 Update:: Found out that this available at HLJ, but you have to contact them directly by email because of the price. 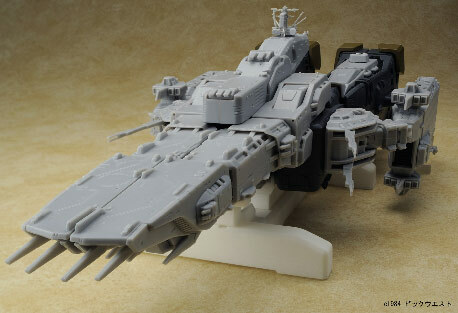 Yamato Toys is offering at their online shop a limited edition Heavy Duty Resin version of the SDF-1 Macross in 1/2000 scale. Hold on to something as the price for this kit is a staggering 210,000 yen. You could say that the price is roughly the minimum order for wholesale orders in most Japanese online stores. The product is expected to be shipped by December of 2009 and will be limited only to their club members. 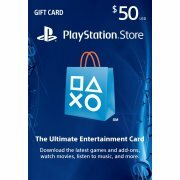 There is a 10,000 yen deposit that has to be paid when making your pre-order. 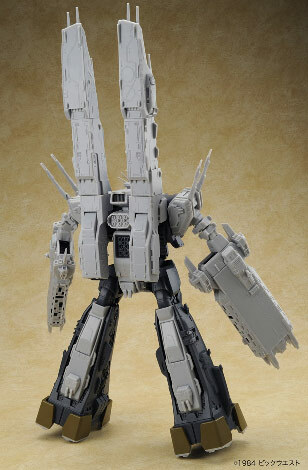 Given the material that the model is made out of, Heavy Duty Resin, the price seems reasonable. Resin casts and the silicone molds used to make it are quite expensive but very durable. Not to mention that they are a bit heavy, so I'd expect that shipping would add further to the total cost of the product. 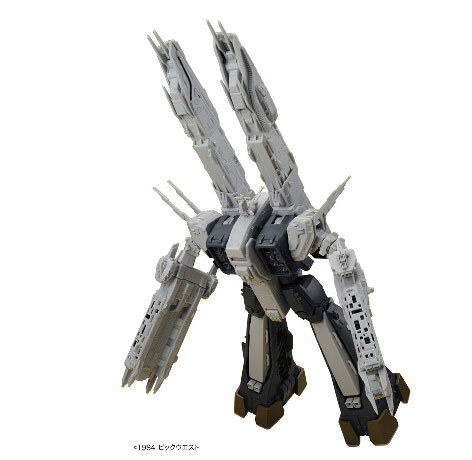 The SDF-1 of Yamato is capable of transforming from its ship mode to its "robot" mode. 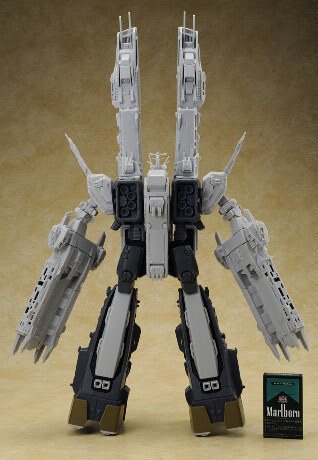 In the original Macross series, the SDF-1 was transformed to its robot mode for the sake of being able to fire its main gun. 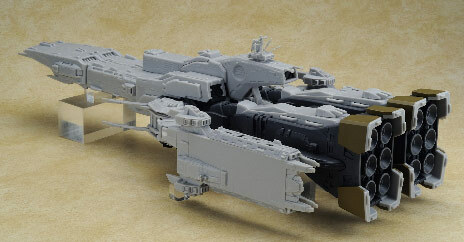 During the first fold of the SDF-1 in order to escape the Zentradi, it caused extensive damage to the ship which resulted in the loss of some components required to fire the gun. By transforming the ship they could create once more the circuit required to power up the main gun by tapping other systems. 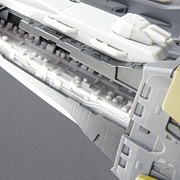 There is also quite a lot of detail that Yamato has put in to this toy, chiefly being a recreation of the city with Macross that can be seen in this open leg shot. Included with the kit are the assembly and transformation manual and some screw needed for assembly. 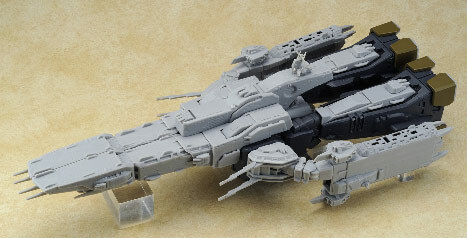 And here's the SDF-1 in ship mode.